In a brief media release this week, the International Olympic Committee (IOC) shed a little more light on the announcement in St Petersburg next week of the final shortlist of sports bidding to make the 2020 Olympic Games. Of course, the eight bids at present are baseball/softball, karate, roller sports, sports climbing, squash, wakeboard, wushu and now wrestling – who were put into the mix after being controversially recommended for exclusion from the list of core sports after Rio 2016 by the IOC Executive Board in February. The IOC Executive Board will again take centre stage on Wednesday (May 29), when they decide which sports will make the final shortlist. The release explained that from 1.30pm to 8pm Moscow Standard Time (MSK), all eight will present to the Executive Board at the Lenexpo Exhibition Complex to state their case before the Board votes to decide on the shortlist. 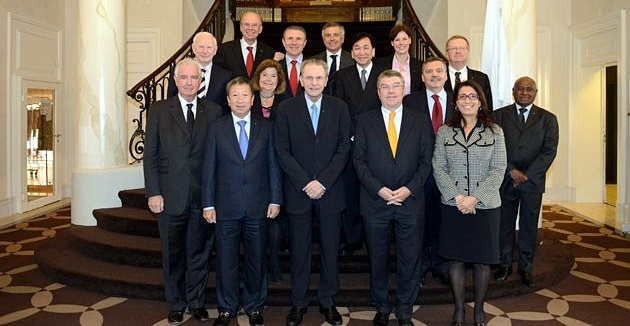 Of the 15 IOC Executive Board Members, only one is from North America (Guatemala) and none of the members have ties to wrestling. This entry was posted in Save Olympic Wrestling and tagged 2020, IOC, olympic wrestling, vote. Bookmark the permalink. Reward Risk-add another bonus for grand amplitude! Reinstute black points so you have to pin to stay in the tournament! Triple jeopardy for fleeing the mat, a point, a caution and the wrestler is put down. Reinstate wrestling for Men and Women. Also, please reinstate the original weight classes for men in both Freestyle and Greco. Give the ladies their allocation as well. They have proven that they are legitimate.